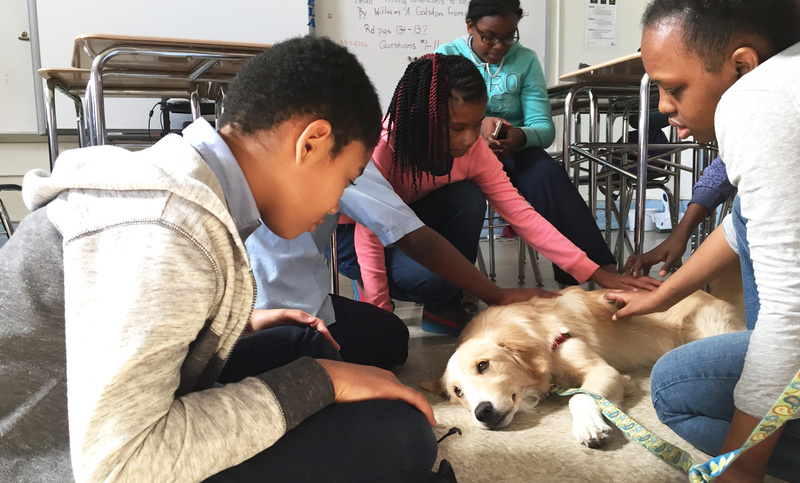 See how the Mutt-i-grees Curriculum fosters positive change in students’ lives. 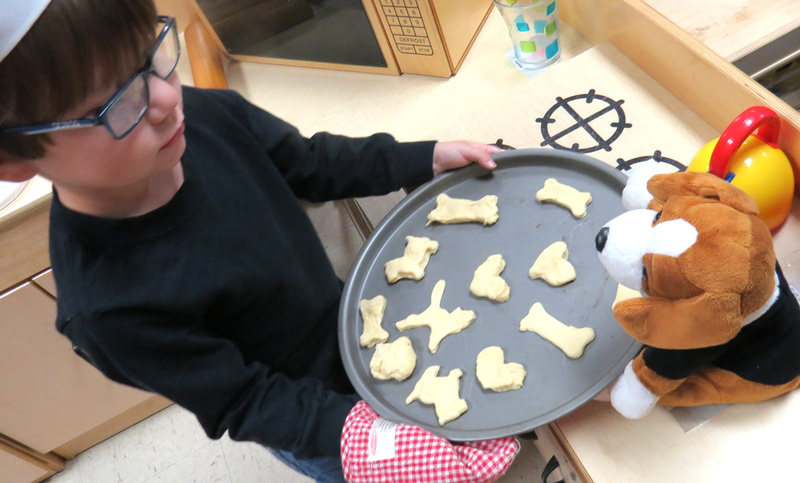 Students enjoy a wide variety of engaging dog-related, cross-curricular activities. 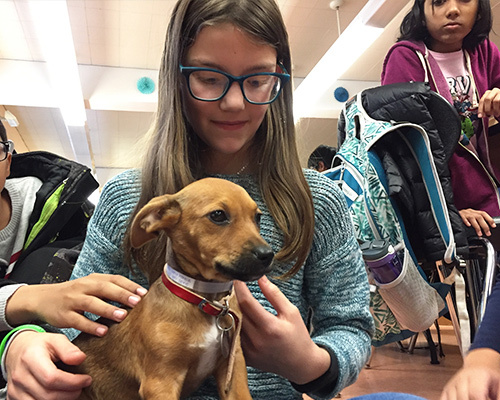 While the use of an actual dog is not required to successfully use the Mutt-i-grees Curriculum, some schools choose to adopt a shelter dog to enhance their implementation of the program. 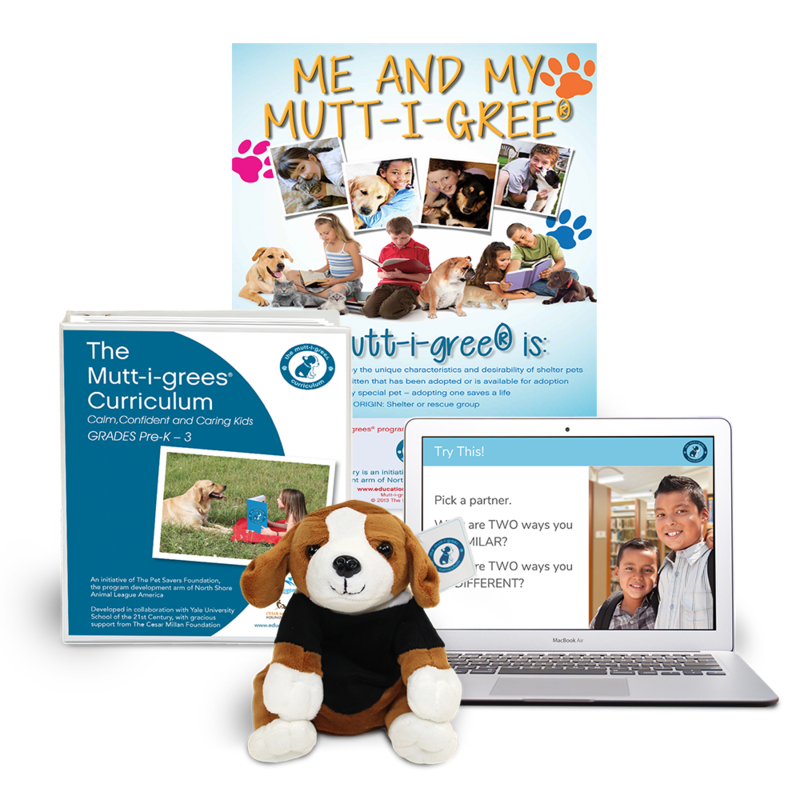 Learn how this middle school uses the Mutt-i-grees Curriculum to meet the academic and social emotional needs of its students. Mutt-i-grees really works, but don’t just take our word for it. Listen to these educators talking about their specific and transformative experiences with the Curriculum. 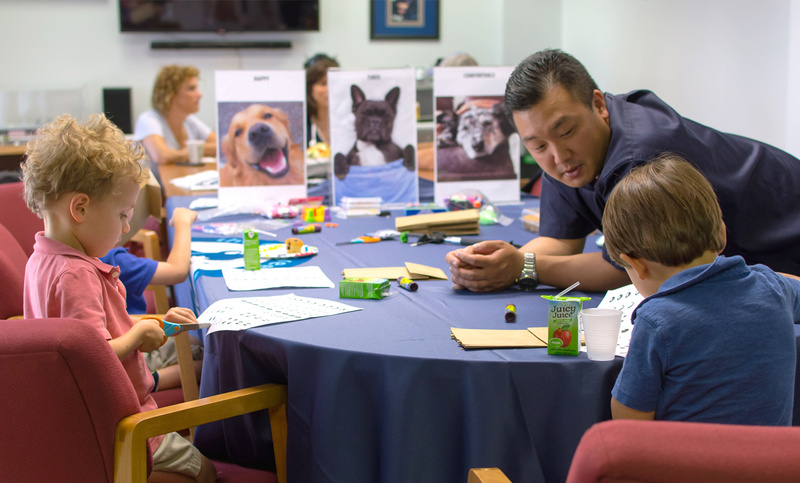 Reading with Mutt-i-grees with Abilities Inc.
Students of all abilities enjoy the hands-on activities of the Curriculum to learn important social emotional learning and academic skills. There are four core kits – Pre-K-Grade 3; Grades 4-6; Grades 7-8 and Grades 9-12. 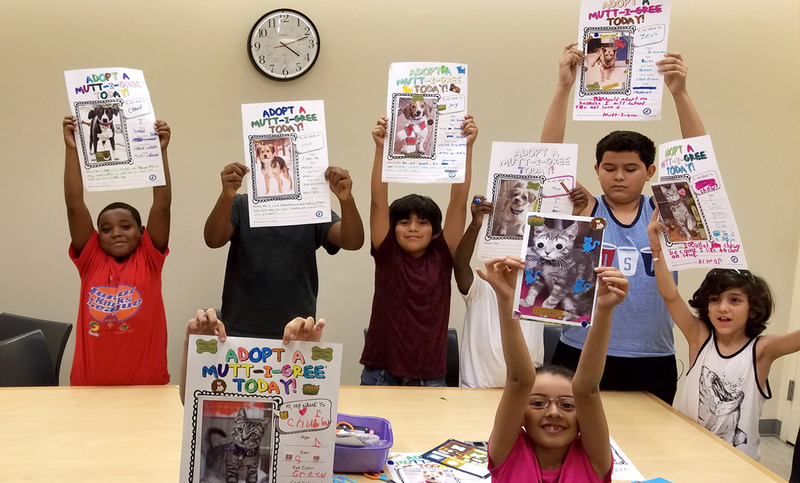 In each one, there are easy-to-use lesson plans that include educational objectives and engaging hands-on activities designed to promote academic success, cooperation, social responsibility, resiliency, and compassion. 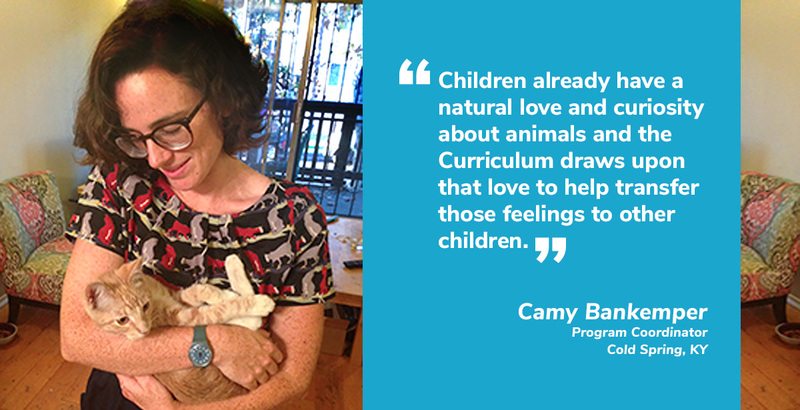 Each lesson has a dual focus on children and shelter animals. 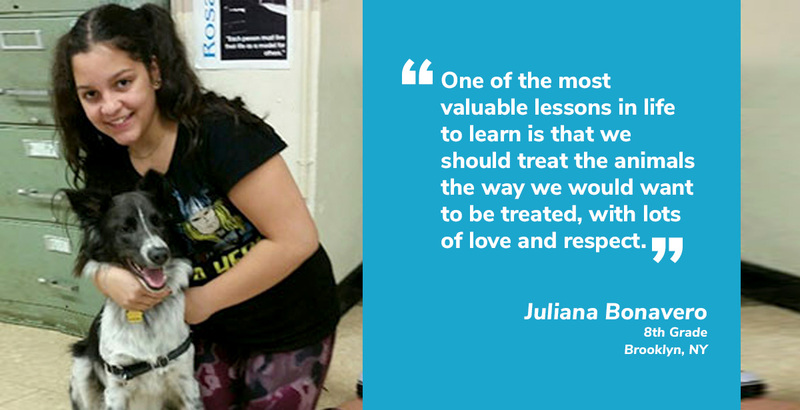 The lessons may be used with all children, and are especially effective with children with special needs. They may be used in pre-schools and child care centers, in schools, afterschool programs, and behavioral health facilities. 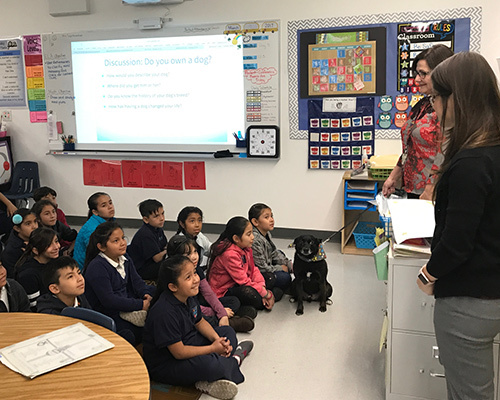 Educators use the Curriculum both as a universally applicable prevention approach as well as an intervention with children with behavioral and developmental disorders. 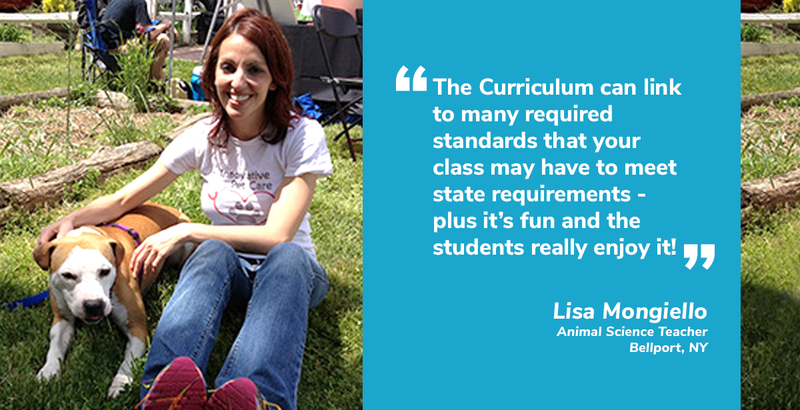 The Curriculum is highly versatile: it is used on its own at weekly 30-40-minute sessions in mainstream classrooms or in small group sessions. It may be incorporated into the instructional day, or included as part of character education, health education, or other programs. 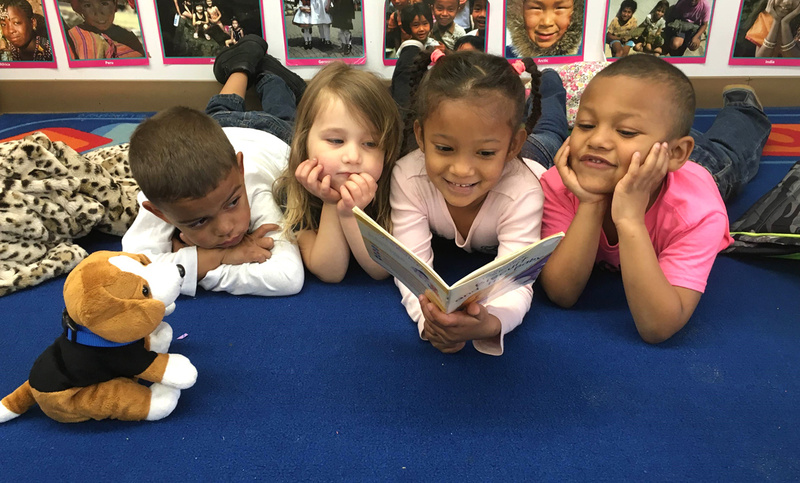 All lessons focus on the five principles of social and emotional learning: Achieving Awareness, Finding Feelings, Encouraging Empathy, Cultivating Cooperation, and Dealing with Decisions. 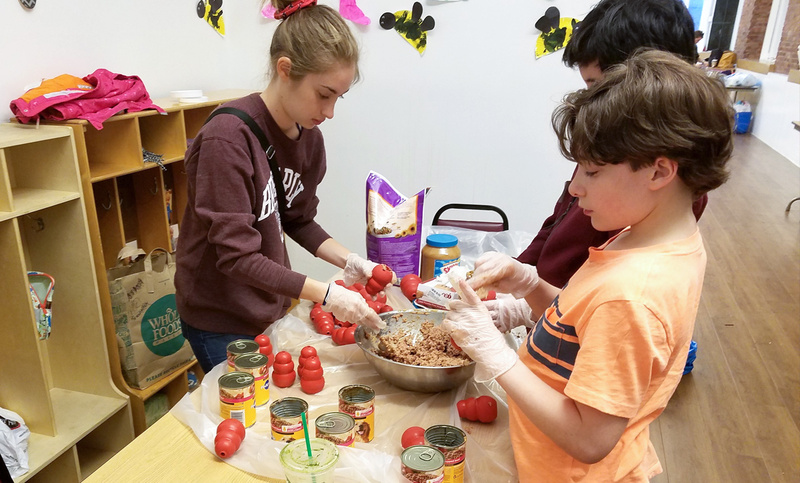 These themes are expanded upon and reinforced throughout the Curriculum, providing educators with flexibility and opportunities for creative implementation of all concepts and lessons.